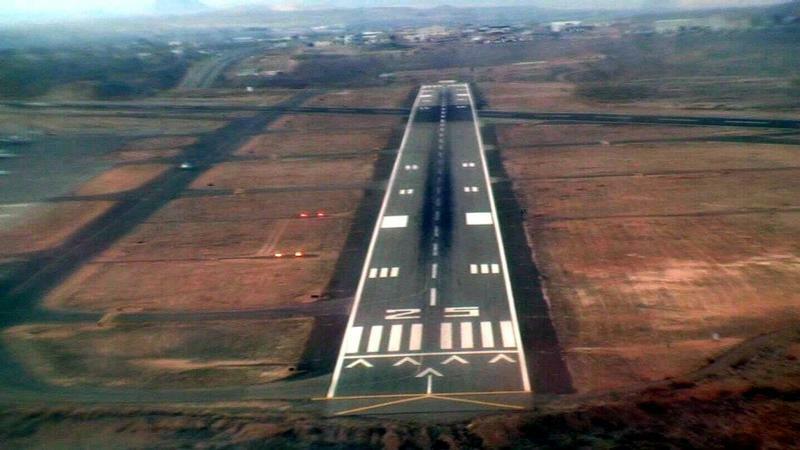 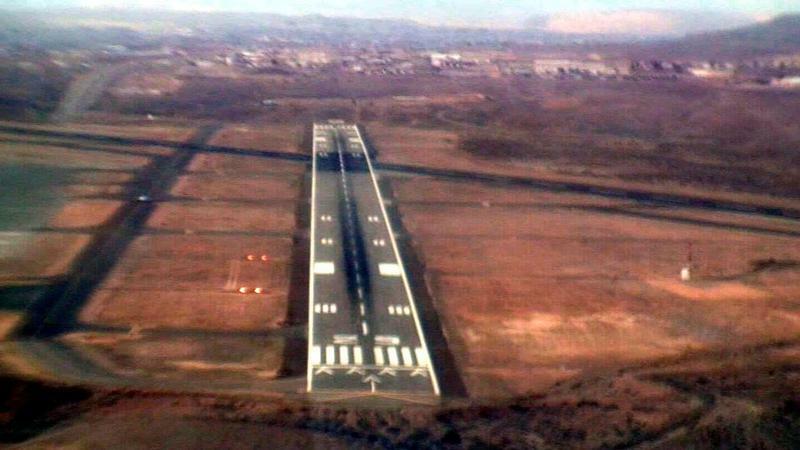 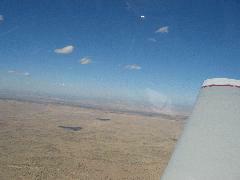 Our flight starts out at Double Eagle II airport West of Albuquerque. 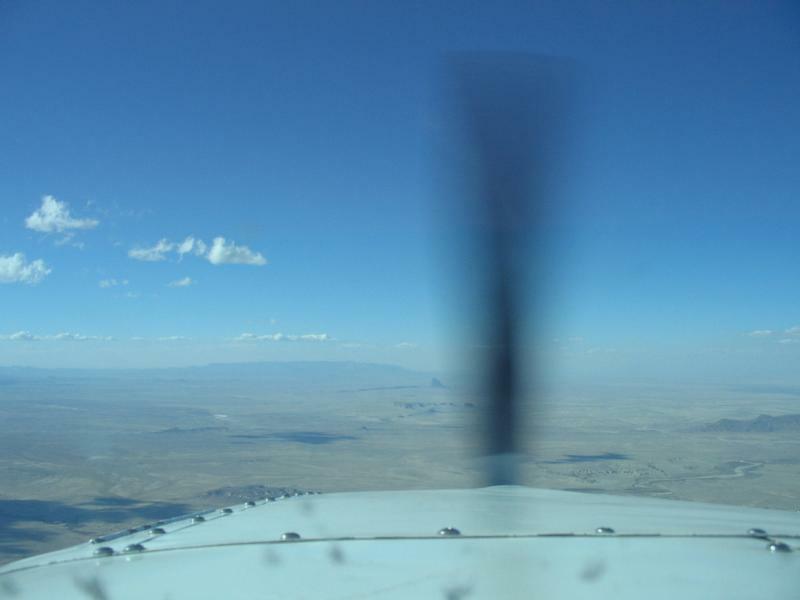 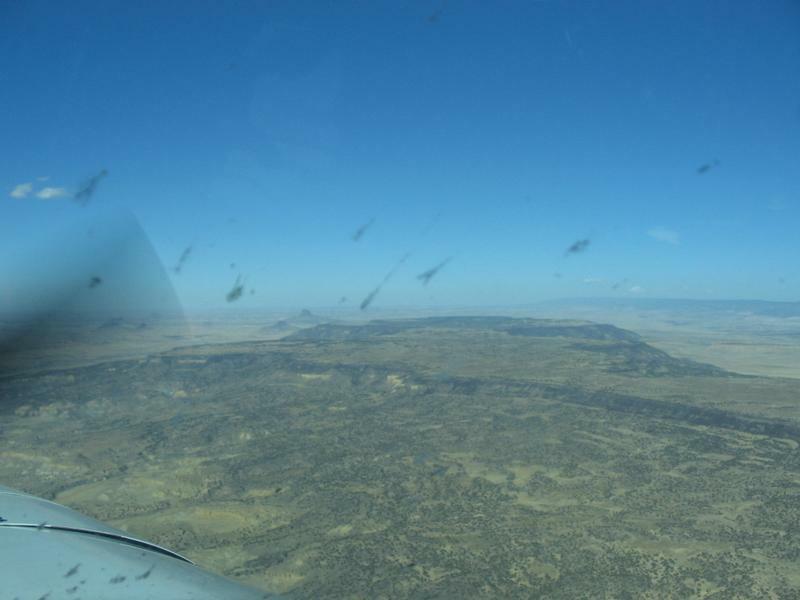 We climb to 10,500 ft to clear the San Mateo mountain plateau and are soon in a desolate, rugged plain where the nearest airport is 40 miles in any direction and where ATC sometimes doesn't have total radio coverage. 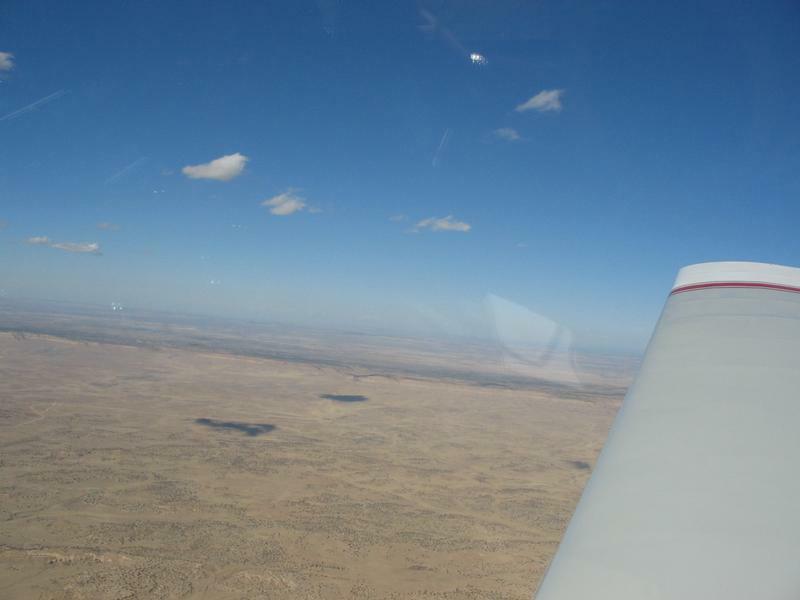 This is where you want a reliable engine! 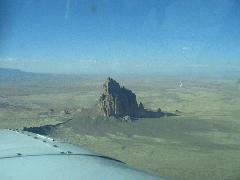 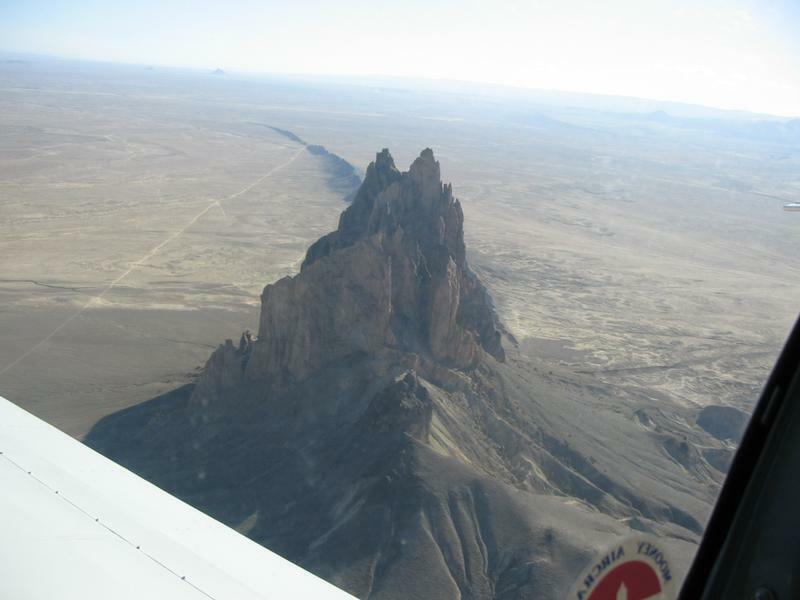 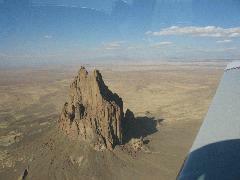 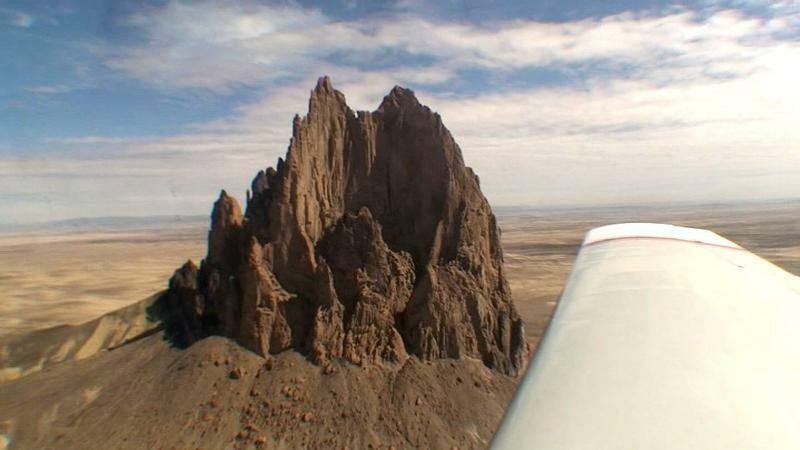 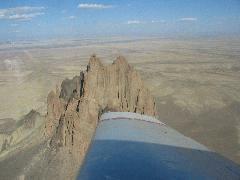 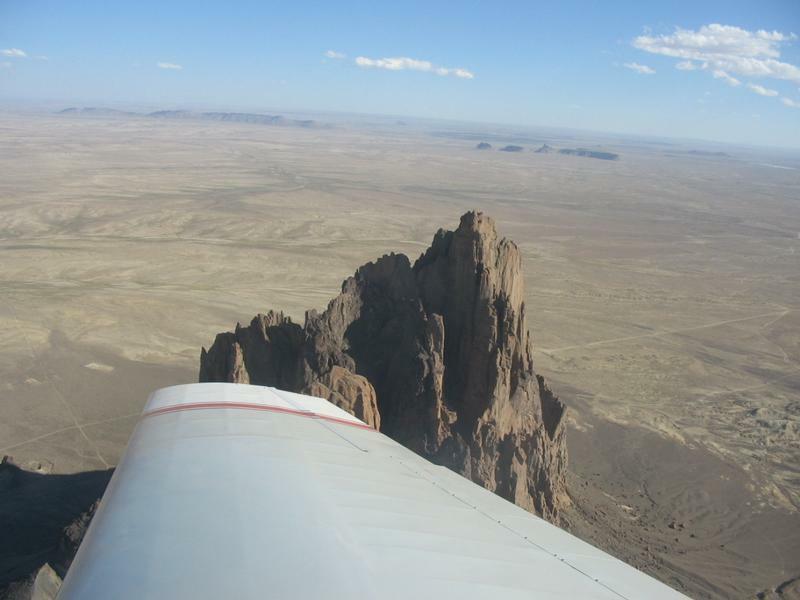 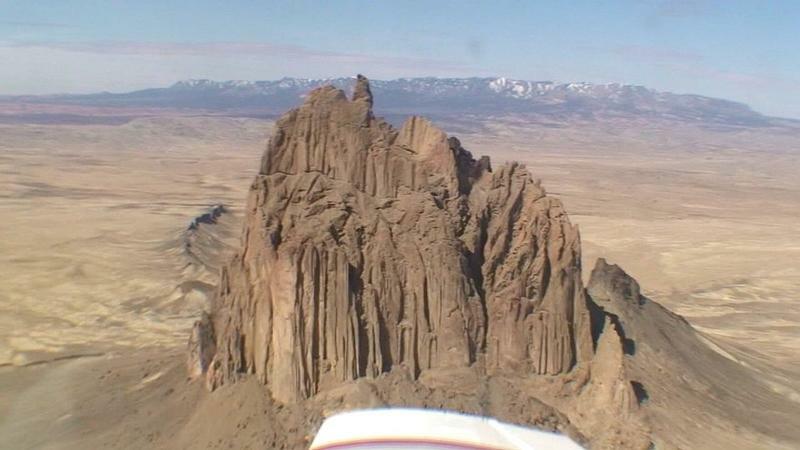 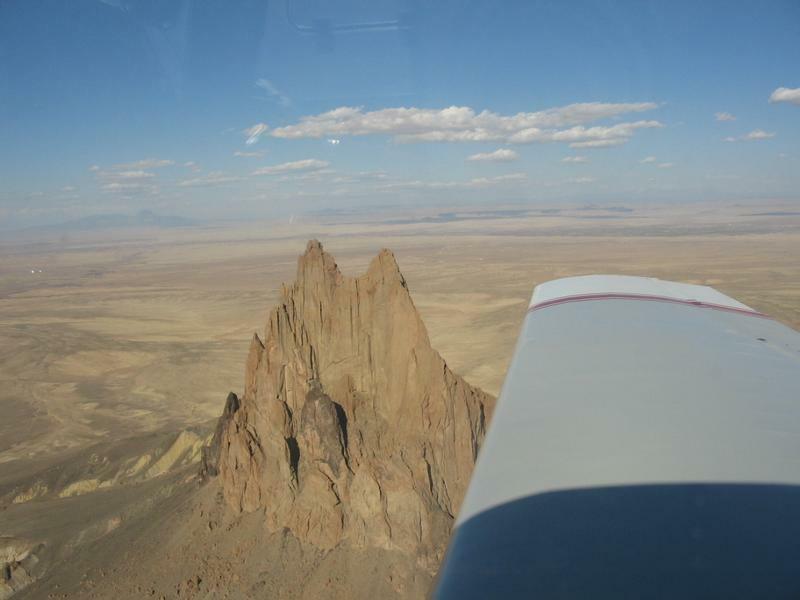 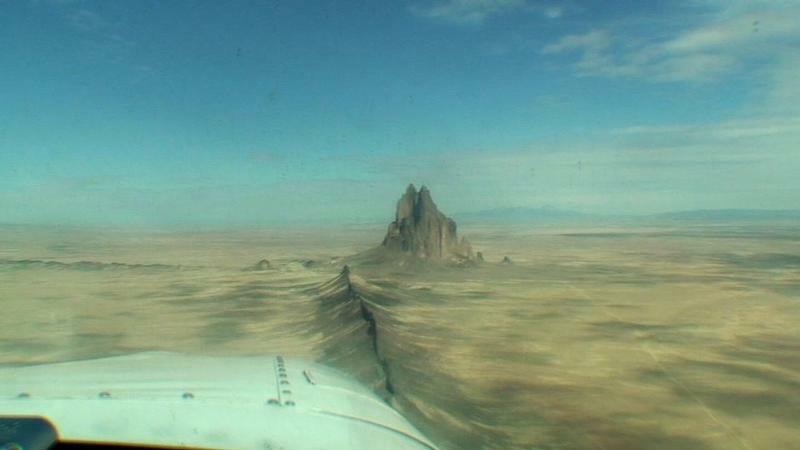 Shiprock rises 2000ft above the desert floor, which is already a mile above sea level. 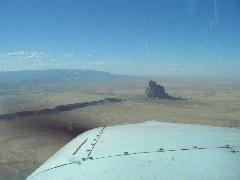 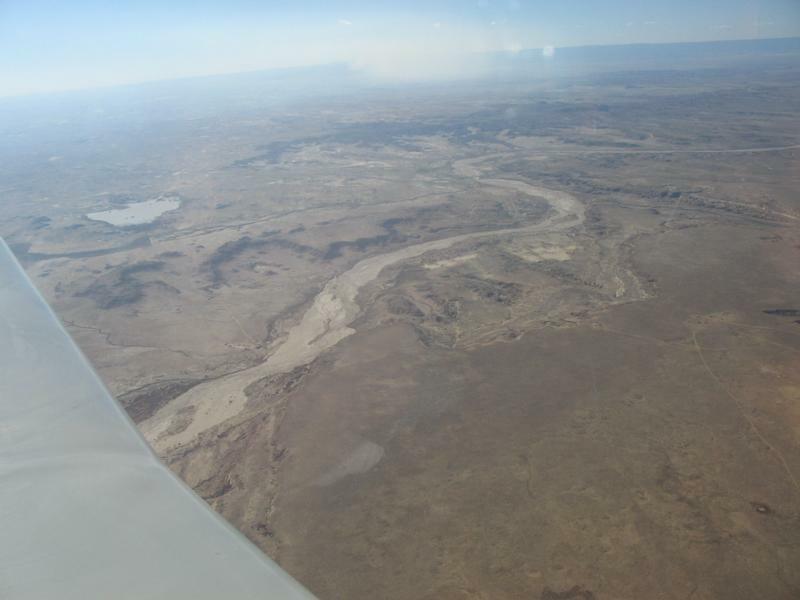 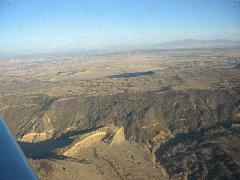 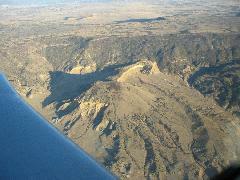 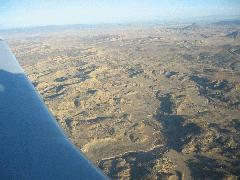 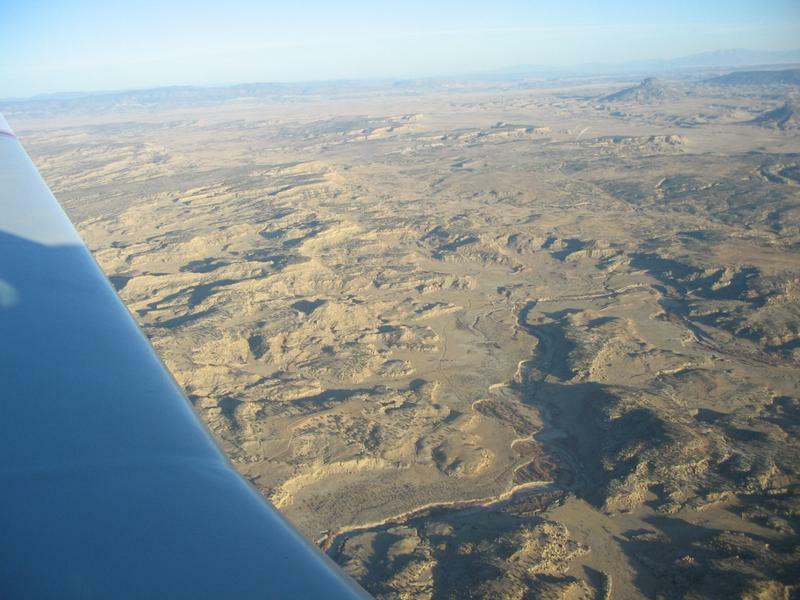 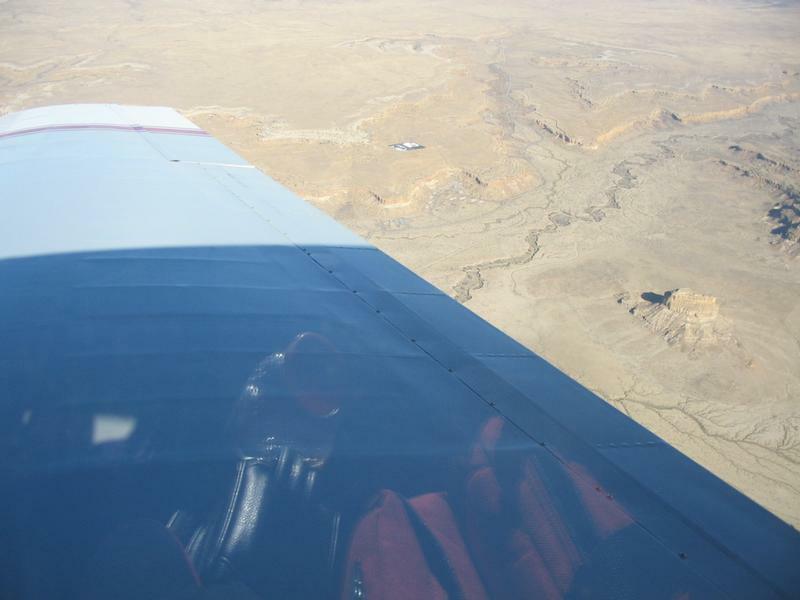 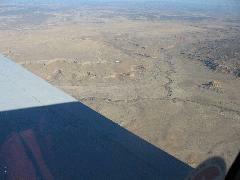 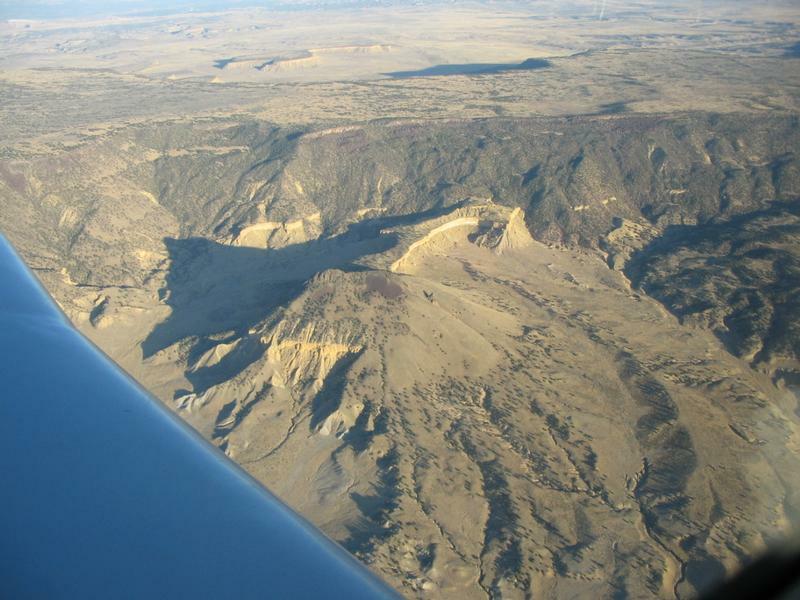 On the return flight from Farmington back toward Albuquerque, we cross over the Navajo reservation agricultural projects. 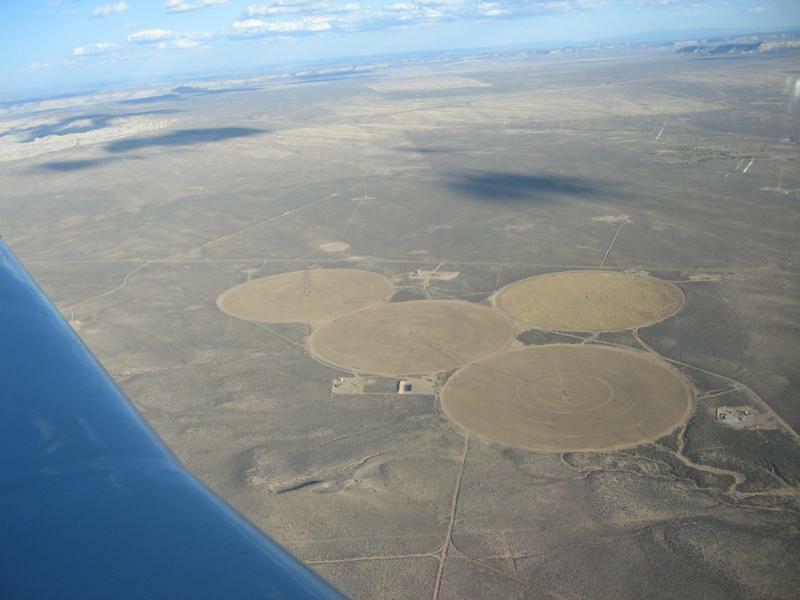 They are literally raising crops in the middle of hot, dry desert by using irrigation. You wanted to know where BFE is? 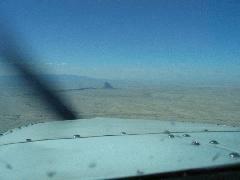 It's right here!